AUSTIN, Texas – Rain pouring and temperatures in the 40s, Nissan shined at the 26th annual Texas Auto Writers Association (TAWA) Texas Truck Rodeo. Battling historic rainfall in the Austin area, testing conditions this year were especially challenging. Following two days of trail and on-road evaluations in the hills of Austin, the all-new 2018 Kicks has been named "Compact CUV of Texas" and "Best Value", headlining five total Nissan awards. "Making its debut appearance at the Texas Truck Rodeo, we are thrilled to have the all-new Nissan Kicks named 'Best Value' and 'Compact CUV of Texas' – a category loaded with competition," said Dan Mohnke, senior vice president, Sales and Marketing & Operations, Nissan Division U.S. "With its dramatic styling, personal technology, intelligent safety, efficient powertrain and strong value positioning, Kicks is a natural choice in the great state of Texas." Also a fan favorite among Texans, the 2018 Murano reclaimed the title of "Mid-Size SUV of Texas," supporting the strong showing of crossovers and SUVs from the company. On the truck side, the 2019 TITAN XD Diesel Single Cab earned the "Commercial Vehicle of Texas" title for the third straight year. The Nissan Smokin' TITAN, the ultimate tailgating and barbecuing pickup truck1, was also named "Top Display Vehicle" of this year's Rodeo. The 2019 TITAN earned runner-up honors in the Full-size Pickup Truck, Luxury Pickup Truck and Off-road Pickup Truck categories. "The full line-up of Nissan TITANs performed extremely well under some very challenging conditions at this year's Texas Truck Rodeo," said Fred DePerez, vice president, North America LCV Business Unit, Nissan North America, Inc. "We're honored to take home the title of 'Commercial Vehicle of Texas' for the third year in a row." The Texas Truck Rodeo includes strenuous on-road and off-road evaluations by members of the Texas Auto Writers Association, one of the most influential and recognized automotive journalist associations in the country. This year's inclement weather made testing that much tougher. But by the end of Day 2, it was the Kicks, Murano and TITAN XD Diesel Single Cab on top in their respective categories. 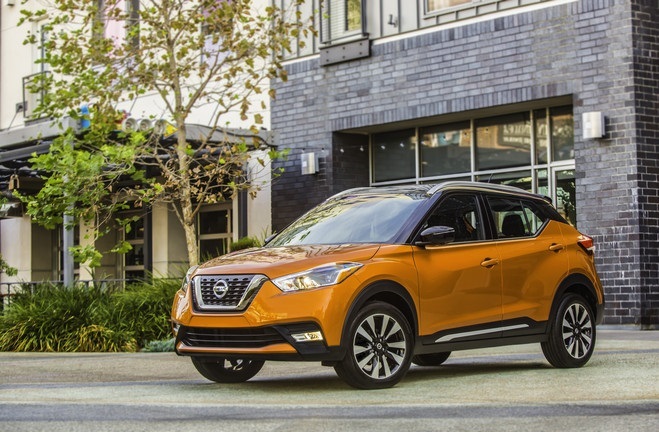 "The all-new Nissan Kicks came away with a much-deserved win after its first time competing in Texas," said Michael Marrs, president of TAWA. "Our journalists also gave the Murano high marks, and the TITAN made a strong showing as always." For more information on each of Nissan's winners at the 2018 Truck Rodeo and the complete 2019 Nissan lineup, please visit NissanNews.com. Nissan is a global full-line vehicle manufacturer that sells more than 60 models under the Nissan, INFINITI and Datsun brands. In fiscal year 2017, the company sold 5.77 million vehicles globally, generating revenue of 11.9 trillion yen. On April 1, 2017, the company embarked on Nissan M.O.V.E. to 2022, a six-year plan targeting a 30% increase in annualized revenues to 16.5 trillion yen by the end of fiscal 2022, along with cumulative free cash flow of 2.5 trillion yen. As part of Nissan M.O.V.E. to 2022, the company plans to extend its leadership in electric vehicles, symbolized by the world's best-selling all-electric vehicle in history, the Nissan LEAF. Nissan's global headquarters in Yokohama, Japan, manages operations in six regions: Asia & Oceania; Africa, the Middle East & India; China; Europe; Latin America; and North America. Nissan has partnered with French manufacturer Renault since 1999 and acquired a 34% stake in Mitsubishi Motors in 2016. Renault-Nissan-Mitsubishi is today the world's largest automotive partnership, with combined sales of more than 10.6 million vehicles in calendar year 2017. The Texas Auto Writers Association, Inc. was founded in 1985 by automotive journalists who wanted to provide an avenue of professional growth, development and networking. These professionals sought to create an automotive event that was unique to Texas, and the result was the TAWA Truck Rodeo. Since 1992, Truck Rodeos have been held in San Antonio, Houston, Dallas, Fort Worth, Granbury and Spring Branch. In 2003, TAWA created an event for sedans, sports cars, and other vehicles not eligible for the Truck Rodeo. The Texas Auto Roundup, as the event is called today, is held at the Texas Motor Speedway in Fort Worth. For more information, visit www.texasautowriters.org.